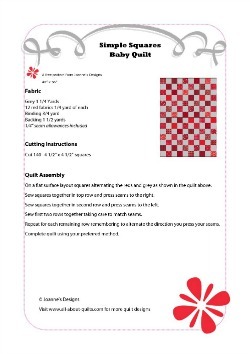 Simple Squares Baby Quilt 40" x 56"
Joannes Designs Week47 'Simple Squares Baby Quilt' a very simple quilt designed for use on a baby's bed. 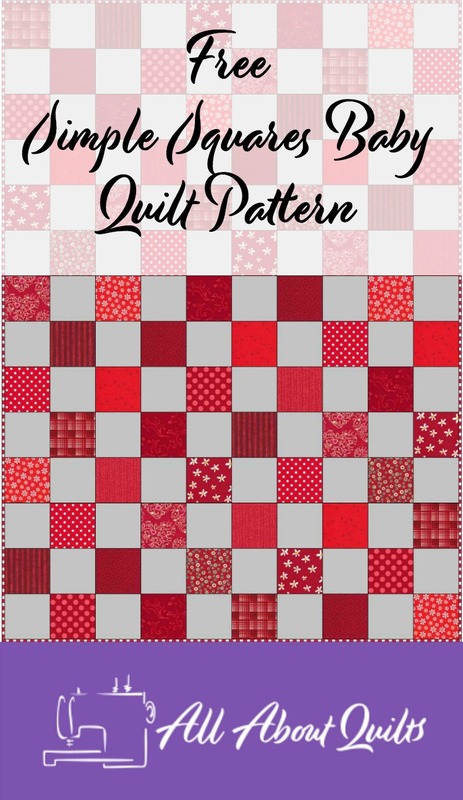 This is a very easy quilt to make due to all the fabric pieces being the same size. The trick to making this quilt look stunning is in how carefully you match each seam. This is not hard to do but it does require a bit of patience. 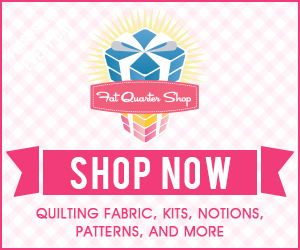 If you are relatively new to quilting then this is a great skill to learn. To view some other simple quilts visit Rita at Red Pepper Quilts. She has made 2 beautiful baby quilts in blues & green. The key to good matching is in the pressing of the block. You can press either with the iron or with your fingers. 1. Sew 2 squares together in different colors. Repeat once. 2. Press the seams to one side (usually towards the darker fabric). With right sides together, line up the raw edges & wriggle the seams together until they lock against one another. 3. Pin either side of the seams in the seam allowance. Pins should be placed perpendicular to the seam that will be sewn. This makes it easy to remove the pins without jeopardising the match. 4. Sew using a 1/4" seam allowance and slide pins out as the pin moves under the presser foot. I have used 14 different fabrics in this quilt. 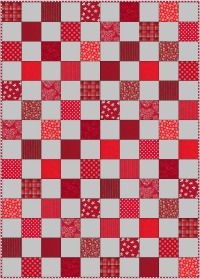 Grey, a stripped red fabric for the border and 12 reds. Each block is cut 4 1/2" x 4 1/2" square, so will finish 4" x 4". 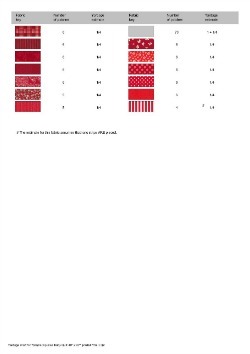 To download the pattern or fabric yardage guide click on the images below. 1. Where possible cut your fabric into 4 1/2" wide strips. 2. From each strip cut 4 1/2" wide squares. You will need 70 in grey and another 70 in a selection of red fabrics. 3. Take great care to match up your seams using pins and check that each seam matches before sewing. This can be time consuming but it takes a lot less time than unpicking & re-sewing. I hope you enjoyed Joannes Designs Week47. 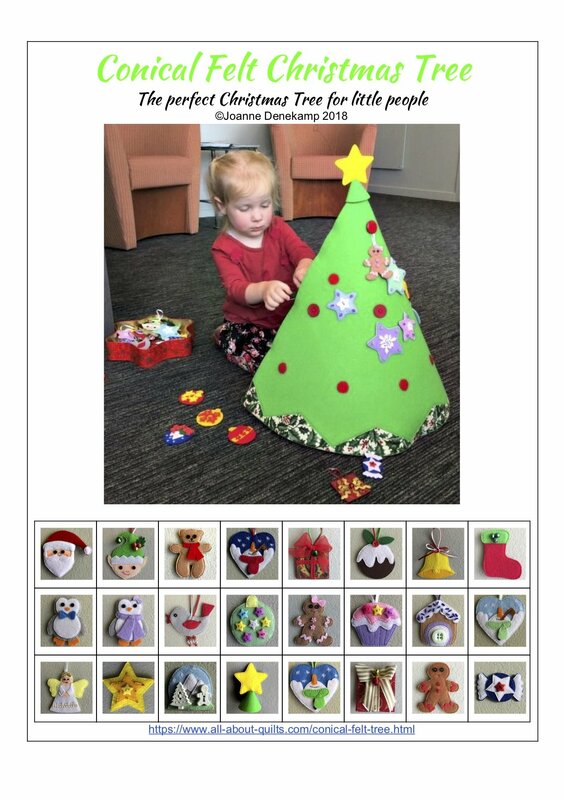 Just 5 patterns to go!